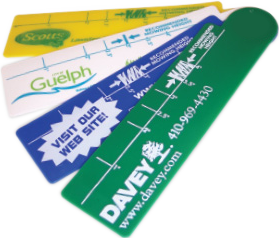 ower measures are great marketing tools that also serve a useful purpose for customers. 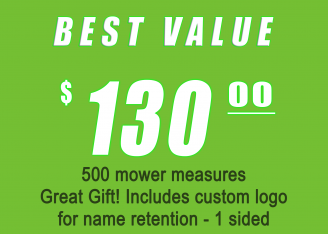 Print your company name, logo and phone number and indicate the recommended mowing height for your turf region. RND graphic artist’s can custom design your measure.